Grab yourself a cup of cocoa and a rather large cushion to hide behind for this spooky drama. 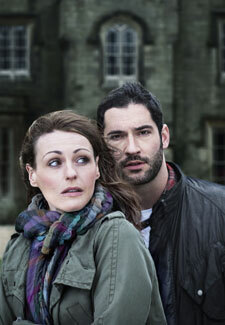 Eve (Suranne Jones) and Gabe (Miranda’s Tom Ellis) are a couple haunted by their past. Struggling to cope after their son goes missing, they move with their other children to start a new life. But their new home also belongs to its past inhabitants and Eve and Gabe’s idyllic new start soon turns into a terrifying nightmare. The Secret of Crickley Hall is on BBC1 tonight, Sunday 18 November, at 9pm.